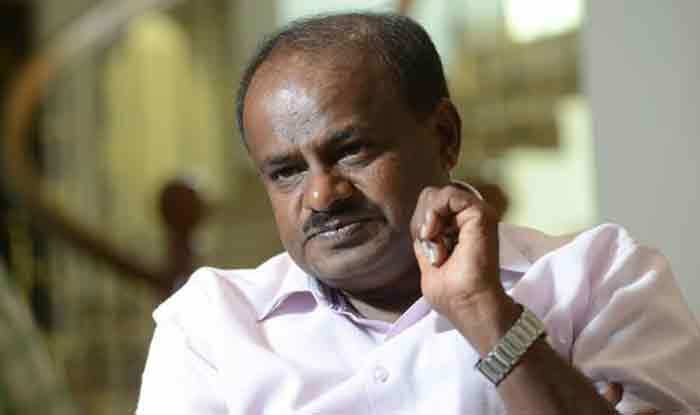 New Delhi: Though two Independent lawmakers — H Nagesh and R Shankar withdrew their support from the ruling Congress-JDS coalition government in Karnataka, Chief Minister HD Kumaraswamy said that he was relaxed and enjoying whatever is happening. “If 2 MLAs withdraw their support, what will be the numbers? I’m totally relaxed. I know my strength. Whatever is going on in media in the past week, I am enjoying,” said Kumaraswamy, while speaking to reporters today. Meanwhile, BJP claimed that ‘Operation Lotus’ will be successful in the coming days. “They (Independent MLAs) must have thought that they should join BJP that received the mandate instead of those who formed unnatural alliance. I’m getting a feeling that Operation Lotus will be successful in the coming days,” said BJP leader Ram Shinde. ‘Operation Lotus’ is a reference to BJP’s alleged bid to lure several opposition MLAs to defect to ensure stability of its then government headed by Yeddyurappa in 2008. Their remarks comes hours after Independent MLAs H Nagesh and R Shankar withdrew their support from the government of HD Kumaraswamy amid a huge political turmoil in Karnataka.